We exist to assist sellers in realizing the maximum sales price, at a date certain, at a reasonable cost. As an Auctioneer/Broker, we are seller’s agents. Our passion is showing how the Auction Method of selling is often a better alternative to traditional Real Estate Brokerage. One of my favorite sayings is “A traditional Real Estate Broker sets a price and comes down, while an Auctioneer sets a price and goes up.” We also occasionally will lend our experience in the auction world to those investors interested in purchasing at auction, by representing them as a buyer’s agent. (Not at our own auctions, however.) We NEVER practice dual agency. We are small, and for a good reason: it serves our clients and customers better. (click here for Why Smaller is Better). We are not interested in dominating the world Real Estate market. We simply do each Auction ABSOLUTELY RIGHT! Mike combines years of Auction experience to re-define the Real Estate Business in North Carolina, South Carolina and Georgia. We have been Auctioning Real and Personal Property for nearly 40 years, both as an IRS Property Appraisal & Liquidation Specialist (PALS) and for the past 10 years in our own Private Auction Business. Mike Harper has 39 years of experience in the real estate and auction world, having sold property as an IRS Property Appraisal & Liquidation Specialist throughout the eastern U.S. as well as Puerto Rico and the U.S. Virgin Islands. Mike holds a BA in History from UNC-Greensboro. Born and raised in Clemmons NC, Mike has lived in Mt. Pleasant SC since 1993, and is a licensed Real Estate Broker and licensed Auctioneer in North and South Carolina and Georgia. He is also a Certified Real Estate Instructor, and teaches self written courses at Charleston-Trident Association of Realtors including “Buying and Selling Real Estate at Auction”, “Selling Land using the Multi-Parcel Auction Method”, “Dealing with Lien Issues to Prevent Closing Problems”, “Foreclosure and Tax Lien Sales for the Investor and his Agent”, “Taxes and Real Estate – What Every Agent Should Know”, “Section 1031 Tax-Deferred Exchanges” as well as the Loss Mitigation Certification Class and Real Estate Pre-Licensing and Core courses. 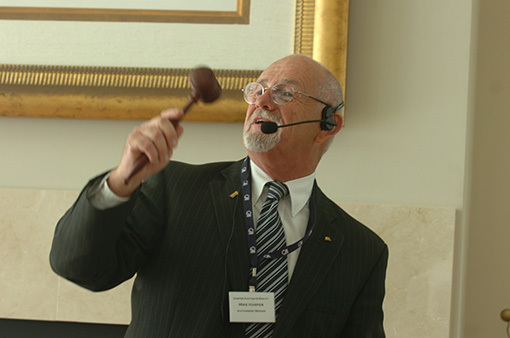 Mike was chosen as a Seminar presenter at the National Auctioneer Association International Conference and Show in Nashville, TN in July 2008 and in Louisville KY in July 2014. Less than 1% of Auctioneers nationwide hold both the CAI and AARE designations. Beverly is the other half of Harper Auction and Realty. Beverly has supported Mike in his love of the Auction Business, and encouraged him in establishing his own Auction and Realty Company. 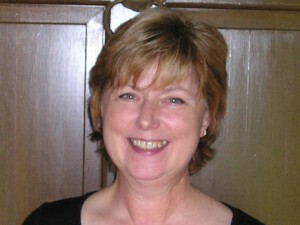 Beverly holds a BA in Clothing & Textiles from UNC- Greensboro, and holds a SC Real Estate License. Beverly is the office Administrator who “makes the trains run on time” at HA&R. Beverly is our Vice President of “NO”, meaning she has veto authority over wild ideas and over- exuberance until she is convinced of the feasibility of the idea or the project. This is a much-needed function in any successful business venture! "Thanks Mike , I will sign and return tomorrow evening. You are a credit to our industry. It is a true pleasure doing business with you! "Jerry, I can certainly help you put your client in touch with Mike Harper. We had a terrific experience working with Mike. We may be working with him again to auction the Regent building in Burlington. We are not very fond of realtors but I’ll be the first to say that Mike works as hard as we do and he is very skilled at what he does. I’d give him our highest recommendation. Thanks,"
"I was skeptical at first about selling at Auction, but a friend whom Mike had helped in North Carolina told me about his method, and his work ethic. I could not be more pleased with the result. His team met and exceeded my goals." "Mike, Thank you for helping us with the evaluation process of the house on Wells Drive. Even though Hunter did not win the bid, it was a great learning experience for him. If I can ever help you with anything in Orangeburg, please let me know." Thanks for your help! I appreciate your integrity and consistency.